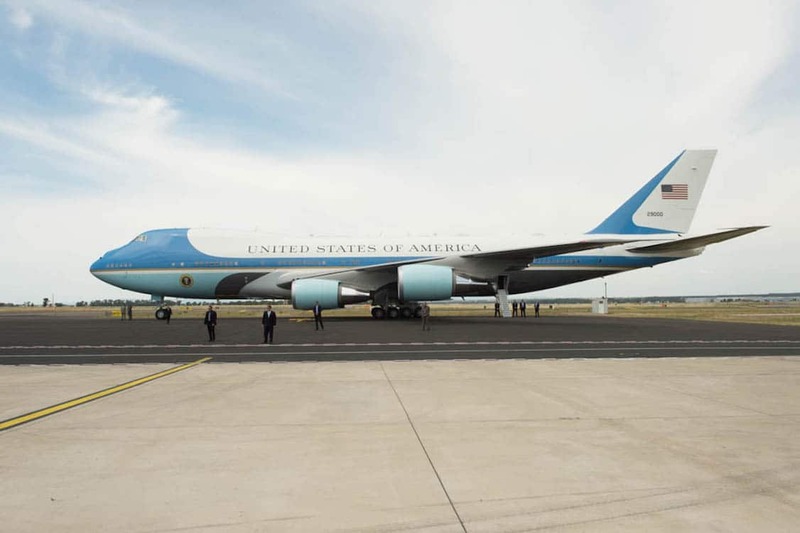 New planes will be red, white and blue. The current livery for Air Force One has been in place since the Kennedy administration, and was designed in part by Raymond Loewy. 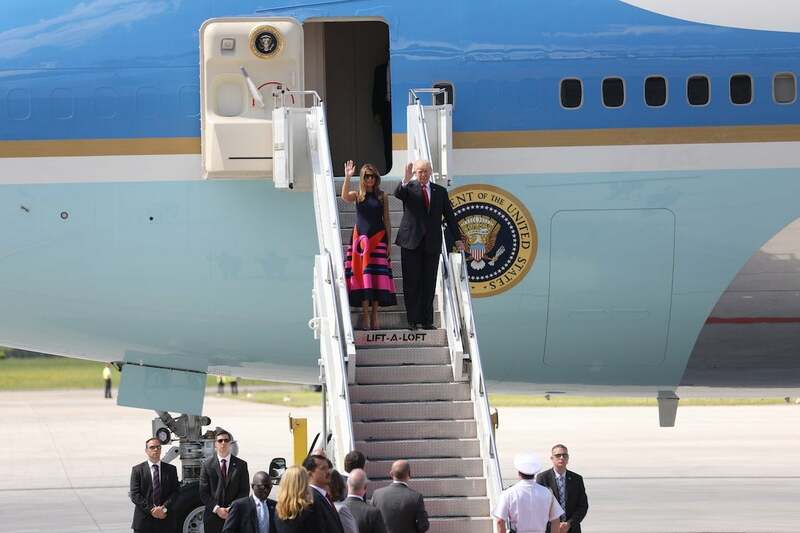 President Donald Trump and First Lady Melania Trump deplane Air Force One at the G20 Summit. This entry was posted on Monday, July 23rd, 2018 at and is filed under Automakers, Designers, Personalities, Politicians. You can follow any responses to this entry through the RSS 2.0 feed. Both comments and pings are currently closed. Is there nothing the donald won’t screw up to fill his ego?